Media coverage of Manchester City’s £120m spend on flying wing backs is a joke – one as lame as the old chestnut that has a dodgy defender selected at ‘left back…in the changing room’. The £45m acquisition of Kyle Walker from Spurs is readily ridiculed and used as a negative benchmark for this summer’s crazy transfer market. 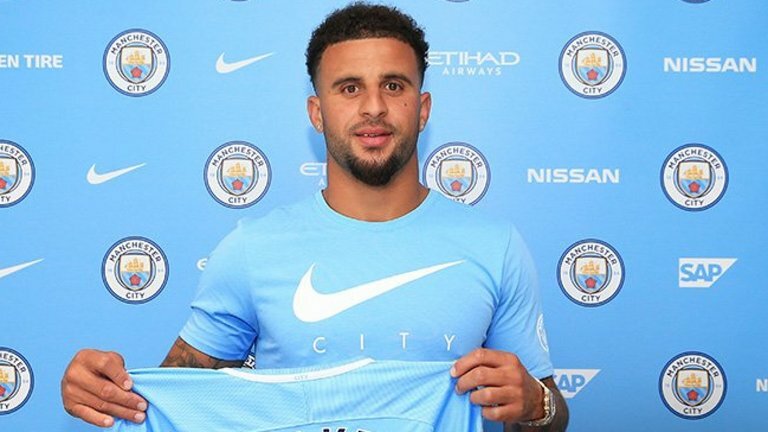 Kyle Walker has looked impressive on City’s US Tour and a fine acquisition at £45m. Dynamic image courtesy of our BlueRoom sponsors and Stiz. Not only is it disrespectful to Walker – widely lauded as one of the best full backs prior to his switch from Spurs to City – it serves to once again illustrate the media’s insatiable desire to undermine City. Alexandre Lacazette’s £52.5m move to Arsenal, Nemanja Matic’s £40m transfer to Manchester United or, God forbid, Romelu Lukaku’s £90m transfer from Everton to The Swamp, is never cited as a highly questionable misuse of the funds belching into the coffers of Premier League from Sky and BT Sports. So why is Walker the media’s whipping boy? Why do the media think it’s acceptable to undermine Kyle Walker’s worth following his move to City? We’ve already established it’s a chance to have a pop at City, but it’s as if the media are dismissing the right and left back roles as secondary to every other position on the field of play – as if they’re not important. Just ask the fans at Barcelona and Bayern Munich if the full back positions were of little or no consequence to the success enjoyed by both clubs under Pep Guardiola. AA – Full backs Alves and Abidal were vital to Pep’s success at Barcelona. Walker and Mendy will be likewise at City. Were Dani Alves and Eric Abidal at the Nou Camp, and David Alaba and Philipp Lahm at the Allianz Arena, simply bit-part players as Pep ran up a treasure trove of trophies in Spain and Germany? Not only is it unnecessarily divisive to cast aspersions on Walker, Benjamin Mendy and Danilo, it’s also displays a certain ignorance. 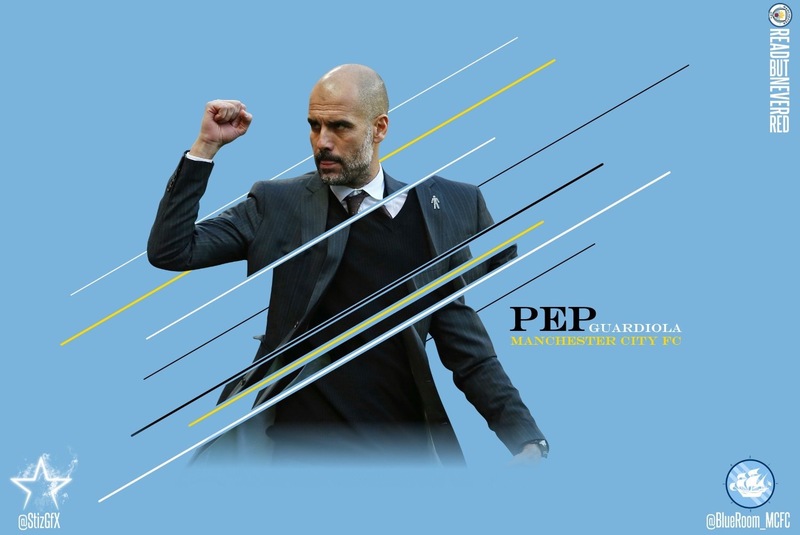 Whether deployed as attacking, overlapping wing backs, or ‘inverted’ in a more defensive formation, the full backs are fundamental to the success of Pep’s philosophy. 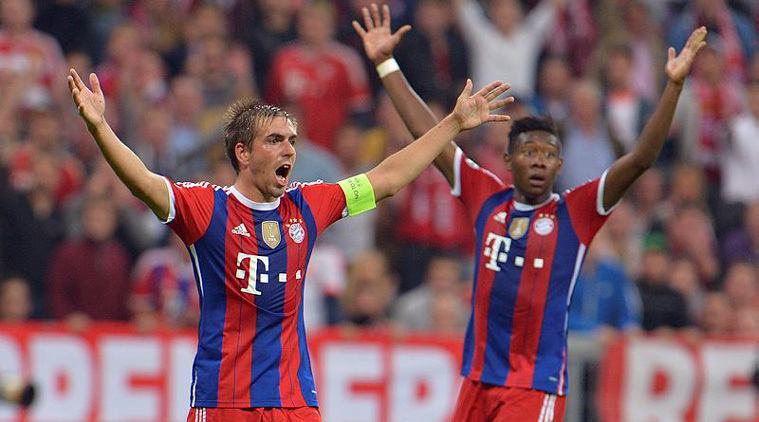 Philipp Lahm and David Alaba were crucial; components in Guardiola’s success at Bayern Munich. Flying wing backs are fundamental in Pep’s playing philosophy. The media would have us believe it’s a £120m folly – more fool them. A friend of a friend happened upon Spanish football expert and Pep Guardiola’s biographer, Guillem Balague, in a Malaga bar earlier in the year. Balague was happy to chat and he emphasised the full back roles – above all else – were Pep’s priority at City this summer. Forget any chat about Alexis Sanchez, Kylian Mbappe or any marquee signings, the priority was full backs. Mendy and fellow full backs, Danilo and Walker will add pace, technical ability and tactical strength to Pep’s City revolution. Hardly surprising when you consider City had spent the grand sum of just £39m on full backs since September 2008 until this summer. Now that level of neglect warrants justifiable criticism, not just from the media, but the City faithful as well. In the nine years leading up to June 30th, 2017, City acquired Wayne Bridge £12m, Sylvinho free, Kolarov £17m, Clichy £7m, Maicon £3m and Sagna, also on a free. 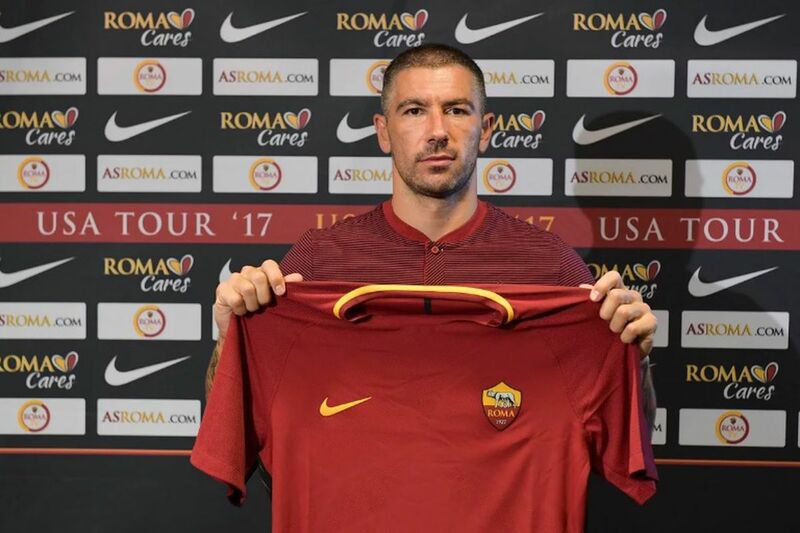 At a cost of £17m Aleksander Kolarov was City’s most expensive ever full back prior to this summer. Last season Pep called upon Sagna, Clichy, the legendary, but sadly slowing, Zabaleta, occasionally Kolarov and, at a push, Fernandinho in the full back slots. The four ‘usual suspects’ had a combined age of 129 years, and simply couldn’t meet Pep’s technical and physical requirements. Guardiola’s wing backs have to stretch the opposition defence, thereby creating room inside for the likes of De Bruyne, the ‘Silva Brothers’, Aguero and Jesus to exploit. Danilo impressed against both Real Madrid and Spurs. Key factors are speed, stamina, acceleration to get past defenders and provide quality crosses and cutbacks. The idea is often to create two-on-one overloads on defenders. Mendy and Walker should revel in these roles and it’ll facilitate three at the back e.g. Kompany, Stones and, as things stand, Otamendi. If the occasion demands, and Pep wants to play a less expansive game, he can have his full backs come infield, creating a five man block behind an attacking front five, forming a more solid and compact unit. With the full back ranks now replenished and rejuvenated, Pep can apply his tactical genius to take on the Premier League. Image courtesy of Stiz at the BlueRoom. 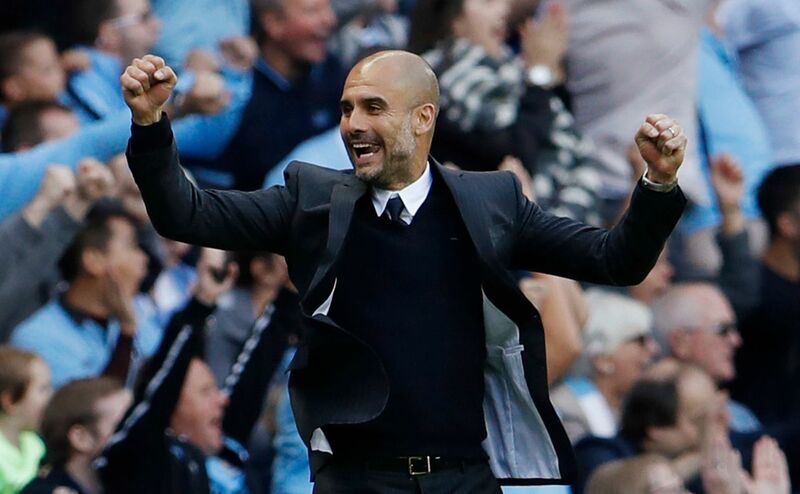 Guardiola’s football genius was questioned last season in some unenlightened quarters. The City boss was never without brilliance, intellect or wisdom. He was perhaps guilty of a lack of pragmatism and a touch of naivety, as it became glaringly obvious that his inherited full back corps weren’t of the requisite standard. 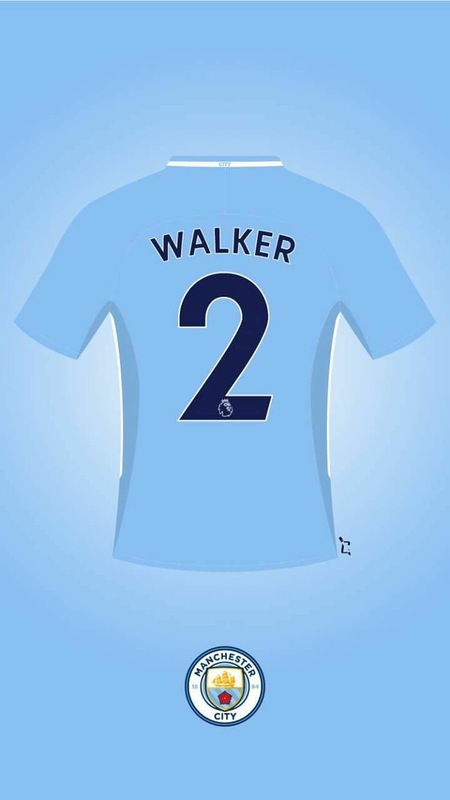 Walker-2-Go…and win trophies, lots of trophies with City. Cartoon courtesy of Corey-Adam Crowley of BlueRoom. It needed rectifying and Pep has done just that. It just happened to cost £120m – so what? Walker and Danilo have both looked the part on City’s US Tour against Real Madrid and Spurs. Yes, they were only pre-season matches, but there’s every reason for optimism. He who laughs last…City fans will be hoping their manager will be all smiles in 2017/18. Mendy’s grand entrance is scheduled for a more competitive environment arena in August, once he’s overcome a thigh muscle injury. But those who continue to mock City and their expenditure on full backs, do so at their own peril. As for Pep, it’ll be a case of he who laughs last. Spot on as ever DW. Thanks Sean. Hope you're having better days since your sad loss. Hopefully City will put smiles on all our faces. 100% correct. 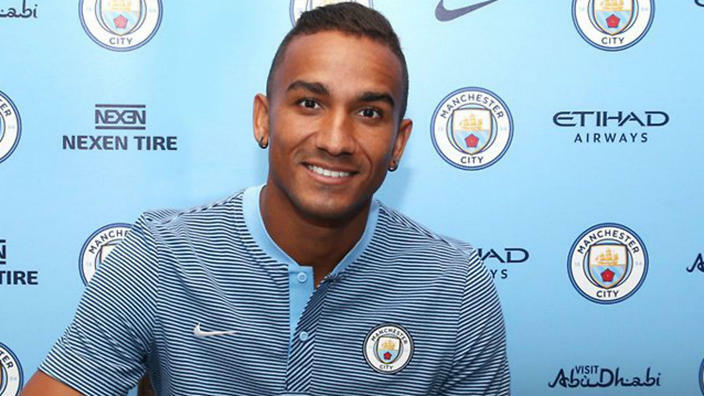 I know it was only pre season but Danilo looks a bargain in current market. Paying top rate to fill gaps is correct. Need them and money there. Reminds me of old cliche men will pay £2 for an item worth £1 that they want and women will pay 50p for a £1 item they don't want if it's a bargain. Sexism aside it rings true in that we signed who we wanted and hang the cost. Roll on Saturday week. It's a crazy daft ridiculous transfer market at the moment, but prima facie, City have bought well in this window. It's just so bloody annoying that City are constantly undermined in all that they do. Still, actions speak louder than words or malicious headlines, and City's actions in the market and on the US Tour give rise for lots of optimism. Splendid dear boy, makes sense to anyone with a brain which excludes most of the fourth estate. I believe that before Christmas the headline writers will be apoplectic with rage as we cruise clear at the top? Let's go cruising and give Her Majesty's Press a severe bruising. Sanchez should be handing his transfer request in shortly. Thanks for your feedback your Lordship. I think if we do well they will be drooling over us and telling everyone how wonderful we are, oblivious to their hypocrisy, or ignoring it. The media will begrudgingly recognise our achievements if we win the Premier League, if they don't they will lose what little credibility they have left, in the eyes of most right minded people. There is no doubt we have bought well but there is a touch of regret that the answer to our need to strengthen cannot come from the expensively assembled youth set up at the Etihad. It's a four letter word - TIME. The CFA has some fine young players coming through but Pep has to strike the balance between today and all our tomorrows. If he doesn't start winning the big prizes very soon it will undermine his managerial reign at the Etihad. It looks as if he's planning on quite a long stay in Manchester to build something of real worth and longevity - unlike other managers across the way in Trafford Borough. Foden and Diaz are prime examples of young Academy stars most likely to succeed. In time, the CFA won't simply produce players to be sold on and help balance the books, albeit that is part and parcel of its remit. The Academy will deliver first team regulars to City and then Sky, BT, BBC, The Mirror, Mail, Sun and Uncle Tom Cobley & All can go 'do one'. Splendid summary, I suspect the so called fake news spewing out says one thing . Jealousy pure and simple. The team being built at the blue camp is mouth watering sadly the only thing that will beat city is city. David, you get it, we get it, the only ones that don't are the old 'Top 4' media with an agenda and blinkered/gullible fans. Same reason they quote transfer fees for City players to include add-ons and even wages sometimes, yet don't apply the same rule evenly(shock horror). It's born out of fear so I personally love it every time they do it. They're that fearful that they distort the truth and that's fear on a whole new level. We're on the same page in respect of all this media 'monkey business' who are forever trying to put City down. Our opponents had their season in the sun as Pep sought to get his bearings in the Premier League, whilst somewhat handicapped by ageing playing personnel who had seen better days. Txiki, and to some degree Manuel, should never have let things drift so badly as they did. Pep is one of Txiki's best pals and what do good friends do - they save the bacon of old chums who, more often than not, couldn't find their own @rse in the transfer market. As usual impeccable writing David. Soooo excited for upcoming season! That's at least twice in my life I've been labelled as Impeccable - the last time being when I had 2,999 comrades in arms who were rewarded by Sven, Benjani, Vassell & Co on that most memorable of days. Thanks, as ever, for reading and commenting. 29 year old Matic at £40m is the joke. Surplus to requirements at Chelsea and a not so great enforcer. I would've loved to have seen NDJ in his pomp cut him down to size! Enough of them. Our signings are great business. Athletes at the back and nets, creativity in midfield and potentially here for many seasons. Can't wait to see it. We know what to expect from the jaundiced 'journalists' but it doesn't mean I can't seek to highlight their misdemeanours. As things stand we've done some fine business even in these wildly inflationary times - and we haven't finished yet. I anticipate at least two more signings and at least half-a-dozen departures before August 31st. If so it'll have been a superb summer, hopefully surpassed by an even better autumn, winter and spring out on the field of play. "Hardly surprising when you consider City had spent the grand sum of just £39m on full backs since September 2008 until this summer." Surely not! Have you added in their wages how much it cost to buy their shirts put their names on. What about their boots, did they eat for free at the stadium? Hotel bills and travel expenses for away games. What sort of journalism is this? Do you think you can be honest and balanced about Manchester City and get away with it? All well reasoned comments David. As for the press, media, call them what you want, I really don't pay any attention anymore and it certainly doesn't wind me up any more. Just the same old boring repetitive "dross" that isn't worth my time ! That we needed to overhaul at the back was apparent from early last season, and the fact that we have had to do this in what is an ever increasingly "siily" transfer spending is unavoidable. As for the media underrating defensive players - that is just darn stupid as it is a team game and everbody is important from the goalkeeper to the striker and those on the bench. It's all looking good for this season with what little highlights I have seen of the pre-season. And hoping Diaz, Foden et al get a decent chance this year. That would be the icing on a very tasty looking cake. I think I'll ease off on highlighting the anti-City media, you don't need to be Sherlock Holmes, Poirot or Inspector Morse to identify the culprits. Most City fans just take the endless tirade of ill conceived, malicious and wholly false reporting on our club with a pinch of salt nowadays - it's just too pathetic for words. Case in point today when the rag loving Independent ran a piece on the FA clamping down on diving.They illustrated the piece with a picture of a genuinely injured Sergio Aguero, on the floor away to Palace in September 2015, the game when Scott Dann did for him by kicking him directly on his knee. Mind you, it says it all about the Independent that they are a newspaper which ceased to be a newspaper because they couldn't sell said newspapers! Very well said and good points. Kyle walker is what we needed! we needed a RB and we needed more English players. Mendy will be world class and Danilo looks like he's happy being rotated and a squad player which is good for any team wanting to win multiple trophies. There's no doubting we've had a great transfer window, with perhaps three more to come in Martinez, Sanchez and maybe Bertrand. It has to be the best City squad/team in decades, perhaps even of all time - we'll see. As for the City Group's global business strategy, that's second to none and the results are there for all to see. Thanks for the feedback. Wow - no sarcasm intended - that's refreshing. Cheers fella. Great read as usual David. Sometimes i wonder if the press actually think we decide to pay 50 whatever millions for a player. Maybe Spurs only wanted 25 for Walker? but we decided thats not enough, we should pay double for sure. 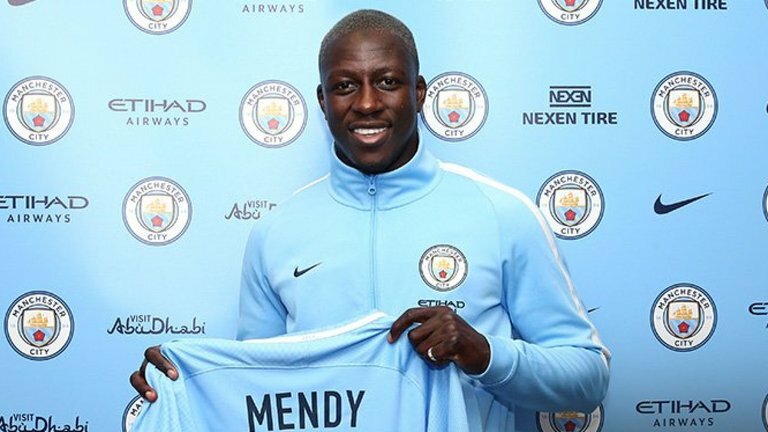 Monaco were letting Mendy go on a free, but we couldn't have that could we? No, we must pay 50 million, just deal with it Monaco! In a summer where everyone knows City are hunting for full backs, what exactly did those idiots expect would happen when Pep came calling with his bulging wallet? It beggars belief doesn't it? Actions speak louder than the scorn of the media starting next Saturday at 17.30hrs. I'm still nurturing the hope that Mbappe could yet sign for City in this window, along with another accomplished centre back. It promises to be one helluva season. Thanks Carl. Headline "Manchester City signing Robinho drove up prices, says Mike Rigg"
Although he didn't say that exactly, SKum makes sure it certainly reads that way. So you see, all the inflation in football is City's fault. But we already knew that didn't we. It's as ridiculous as it is rhetorical.